ST. PAUL, Minn.--(BUSINESS WIRE)--St. Jude Medical, Inc. (NYSE:STJ), a global medical device company, today announced U.S. Food and Drug Administration (FDA) approval of its TactiCath™ Quartz irrigated ablation catheter, the company’s newest technology that gives physicians a real-time, objective measure of the force that the catheter applies to a patient’s heart wall during an ablation procedure. TactiCath Quartz contact-force technology was designed to provide physicians with more control to modify that force during ablation procedures in order to create more effective lesions for patients being treated for paroxysmal atrial fibrillation (AF). The technology is associated with a reduction in the rate of AF recurrence when optimal treatment measures are used. The TactiCath Quartz ablation catheter provides electrophysiologists the ability to monitor the amount of pressure that a catheter tip exerts on the endocardium (the layer of tissue that lines the chambers of the heart). Without contact-force sensing technology, physicians have to estimate by touch with their hands the amount of force applied to the heart wall during an ablation. If too little force is applied, effective lesions may not be created and AF may recur, potentially requiring additional treatments. When too much force is applied, there is a risk of tissue injury, which can lead to serious procedure-related complications. Ablation catheters, such as the TactiCath Quartz irrigated ablation catheter, are thin, flexible wires used to help treat irregular heartbeats that impair the heart's ability to effectively pump blood throughout the body. In the U.S., an estimated 2.7 million people are impacted by AF, making the condition the most common type of arrhythmia affecting Americans today. For more information about AF visit http://health.sjm.com/arrhythmia-answers. There is a large and growing body of evidence to support the safety and effectiveness of contact-force ablation technology, led by St. Jude Medical’s TOCCATA, EFFICAS I, EFFICAS II and TOCCASTAR studies. Collectively, these landmark data were associated with a reduction in the rate of AF recurrence when optimal contact force was used. Initial analyses from the TOCCASTAR clinical trial, presented earlier this year at Heart Rhythm 2014, demonstrated that when performing an ablation using TactiCath, 85.5 percent of patients were free from paroxysmal AF after 12 months when optimal contact-force parameters were achieved versus 67.7 percent of patients when non-optimal contact-force parameters were used. TactiCath Quartz is CE Mark approved for atrial fibrillation (AF) and supra ventricular tachycardia (SVT) ablation. Contact force data produced by the TactiCath Quartz irrigated ablation catheter is displayed on the EnSite Velocity System, a cardiac mapping and navigation system, via the EnSite™ Contact Force Module. 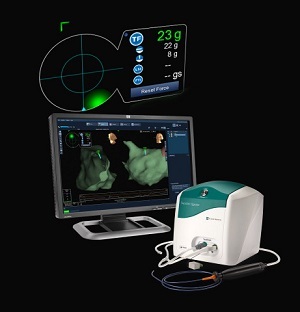 The EnSite Contact Force software module, which is FDA cleared and CE Mark approved, seamlessly integrates contact-force ablation technology and 3-D mapping and navigation capabilities. This allows for straightforward integration of TactiCath Quartz and contact force technology in existing St. Jude Medical accounts with little impact to the physician workflow or electrophysiology lab footprint.